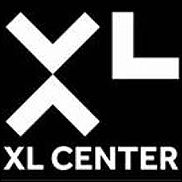 HARTFORD, CT (CelebrityAccess) — Expanding and upgrading Hartford's aging XL Center could cost as much as 250 million while an entirely new arena could be as much as half a billion, according to a new study prepared by a consultant says. According to the Hartford Courant, the report was presented on Thursday night to the board of the Capital Region Development Authority, which is studying ways to revitalize the 40-year-old arena with hopes of attracting an NHL team to the city. The report, by SCI Architects of New York and a team of consultants said that the current building is not suitable as an engine of growth for the city's downtown, noting that even a refurbished arena would need to expand to be competitive. "Either a totally new or transformed arena will have a significant positive impact to revitalize downtown Hartford," the report says. "It will build upon the existing strong corporate base and be a catalyst to make downtown an active urban environment seven days a week." Both schemes developed by the consultants for the arena would see it expanded to 17,000 to 19,000 seats, up from its current capacity of 15,800. They also suggested that the University of Connecticut could become a partner in the new building, with the school's popular Huskies basketball team playing at the arena. The funding for the project, either an entirely new arena or the refurbished XL Center, would come entirely from the state of Connecticut, the Hartford Courant said. Connecticut is currently grappling with a significant budget shortfall and the state's governor, Dannel Malloy, just announced a round of cuts to services provided by the state as it tries to address billion-dollar deficits for the next few fiscal years.